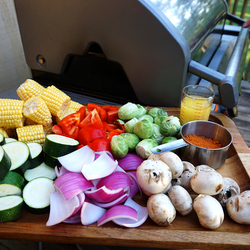 Gather all ingredients and preheat your grill to medium high. 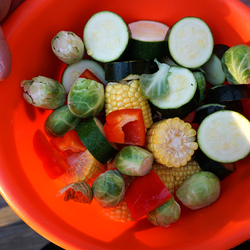 Slice all your vegetables, and place them into a large bowl. Melt your butter and add the butter to the bowl. 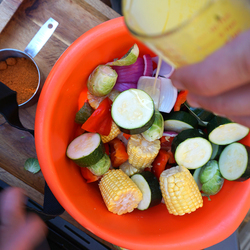 Mix all of your vegetables around and make sure that they are coated by the butter. 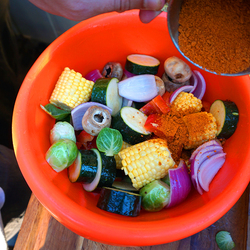 Add in your fajita seasoning and coat all of the vegetables. 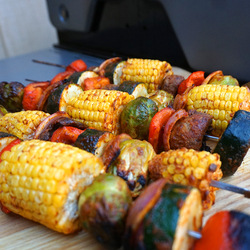 Place your vegetables onto the skewers in a random assortment. 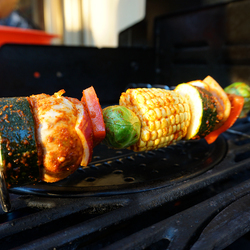 Once finished, place your skewers onto the grill. 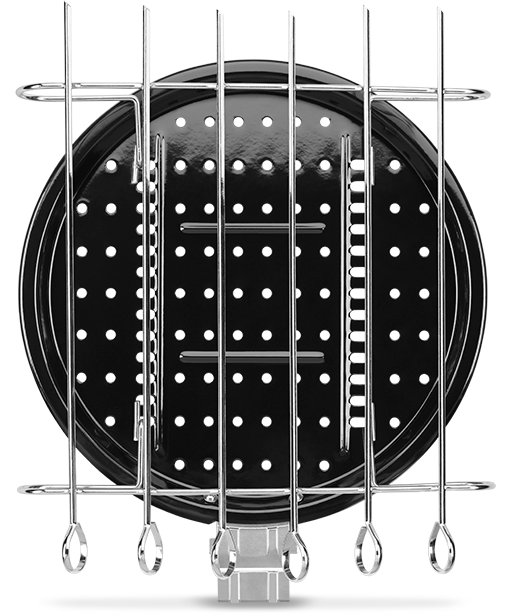 Grill for 15 minutes, turning occasionally. 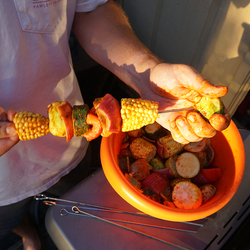 Remove the skewers from the heat and allow to cool for a couple minutes and serve! Enjoy!